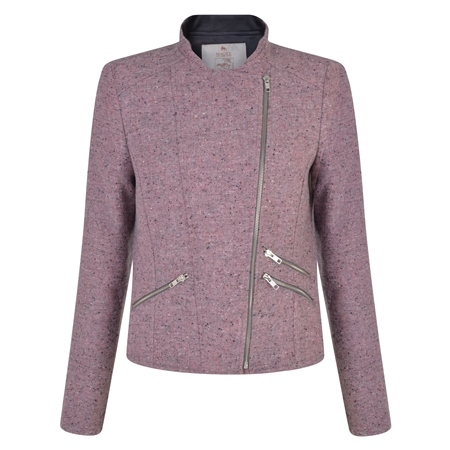 A modern cropped biker style jacket with full-length sleeves, zipped cuffs and slant zip pockets. The fabric was designed and woven in our mill in Donegal, Ireland with the base colour being a luxurious pink geometric Donegal tweed and featuring flecks of charcoal, stone and white throughout. The lining is a Liberty of London print.